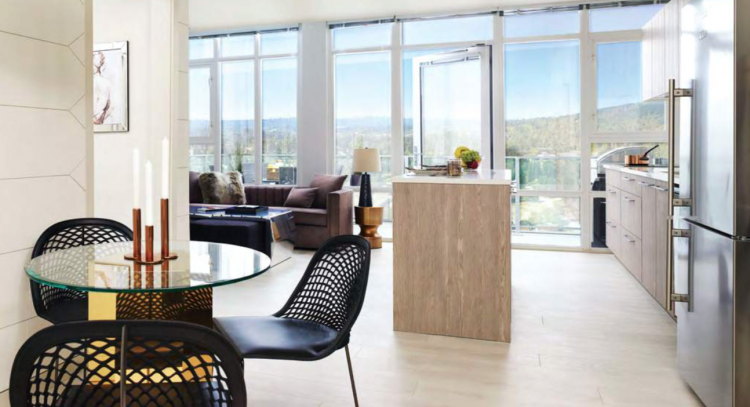 Whether you’re quickly heading out to Coquitlam or Vancouver on the SkyTrain or having a quiet night in, the condos have everything you need—at an incredible price—to make yourself at home. This brand new 2 bed + 2 bath homes designed to maximize every square foot, giving you plenty of space for a price that fits your budget. Offers 918 sqft of living space and a 111sqft balcony. This home comes with contemporary laminate wood flooring, carpeted bedrooms. The kitchen featuring polished Caesar Stone quartzite countertops, Porter & Charles cooktops, natural wood-grained cabinetry, and high-performance stainless steel appliances.